As the calendar turns to November, Redbirds hit the road for the first of two contests away from Hancock Stadium when they travel to Cedar Falls, Iowa, to face the UNI Panthers Saturday at the UNI Dothe me. The Redbirds and the Panthers will square off for the 34th time on the gridiron, with UNI leading the all-time series 20-13. The two teams have not played each other since 2015 due to the MVFC scheduling rotation and will renew the rivalry that began in 1972. The Redbirds have won four out of the last five contests overall against the Panthers, but have only won once at the UNI Dome once under the leadership of Brock Spack and twice in Cedar Falls since 2002. Key Player:An injury to starting QB Brady Davis just before halftime pushed senior captain QB Jake Kolbe into action to start the second half against South Dakota State. No stranger to playing in tough situations in his career, Kolbe inherited a 21-point deficit and did everything he could to get his team back into the game. The Naperville, Illinois, native completed 65 percent of his passes and threw for 183 yards and three touchdowns against the Jackrabbits in his most extensive action of the season. Fantasy Bonus Baby: RB James Robinson faced possibly his toughest test of the season in the form of the vaunted North Dakota State defense. Heading into the game, the Bison were only allowing 84.8 yards per contest and had only allowed one running back to rush for over 100 yards. Robinson was certainly up to the challenge, as he recorded his third-consecutive 100-plus yard effort and his fifth in the last six games when he rushed for 128 yards and a touchdown against the Bison. He averaged 6.4 yards per carry and his 128 yards are the most for a back against the NDSU defense so far this season. UNI football hosts Illinois for the first game between the two programs since the 2015 season. 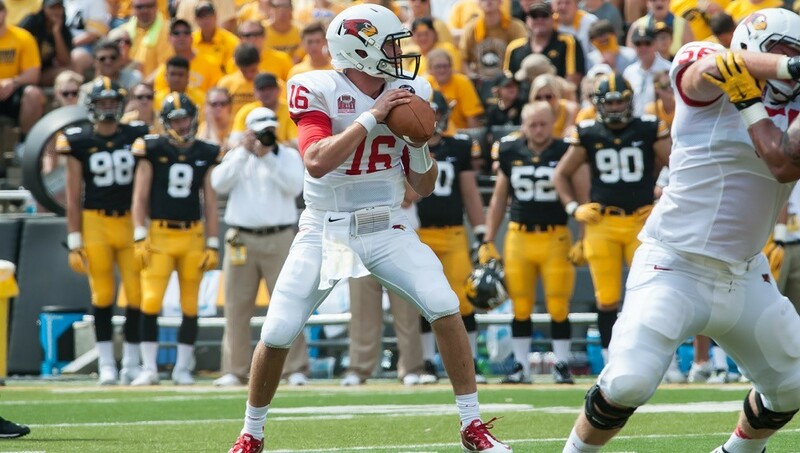 The Redbirds enter the game ranked 13th in the Coaches’ Poll, but have dropped back-to-back games. The Panthers won four of five games before stumbling last week at Western Illinois. UNI is 4-4 overall and 3-2 in MVFC play while ISU is 5-3 overall and 2-3 in conference. UNI is the top team in the MVFC and No. 7 in the FCS in Red zone scoring. The Panthers are 27 of 29 in the red zone with nine rushing touchdowns, 10 passing touchdowns and eight field goals. Key Player: The Panther offense played an uncharacteristically inconsistent game Saturday in Macomb. Panther QB Eli Dunne started 8-8 but ended 22-33 for 218 yards and a pair of interceptions. He was sacked four times and tallied two fumbles. Defensively, the Panthers gave up 300 yards through the air and gave up over 100 yards rushing for the first time in three games. Fantasy Bonus Baby:The Panthers have scored a defensive touchdown for the three times in four Missouri Valley Conference games, something that helps their chances of winning week to week immensely. Against Indiana State, Duncan Ferch scored on a pick-6, against South Dakota, Brawntae Wells recovered a fumble in the end zone and last week Xavior Williams returned an interception 30 yards for a touchdown. 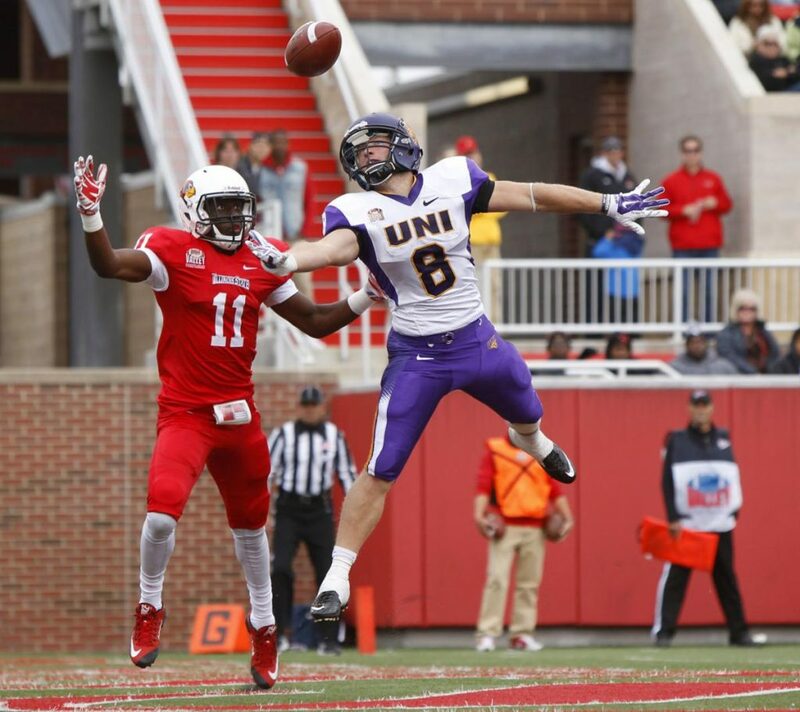 Fearless Prediction: It might as well be a playoff game – UNI’s playoff hopes would be dashed with a loss, while Illinois State’s would be severely crippled if they fall to defeat. The home team keeps their postseason shot alive. UNI 24, Illinois State 19.